Episode 11: How To Land Your Dream Job! In this Episode I share a story about how I landed my dream job of becoming a Pro Makeup Artist who sailed around the world on cruise ships doing it with brushes (and lots of luggage) in hand! I also share a few of my tips on how to go about creating or landing your dream job. Research, persistence, the ART of the follow-up and why LinkedIn should be your number one tool! 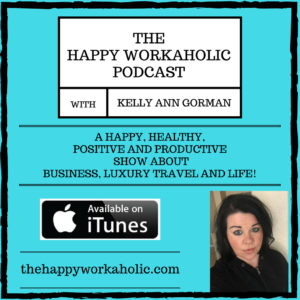 Tweet your questions to @kellyanngorman and use #thehappyworkaholic so that we can continue this chat after the show and let’s connect on LinkedIn!